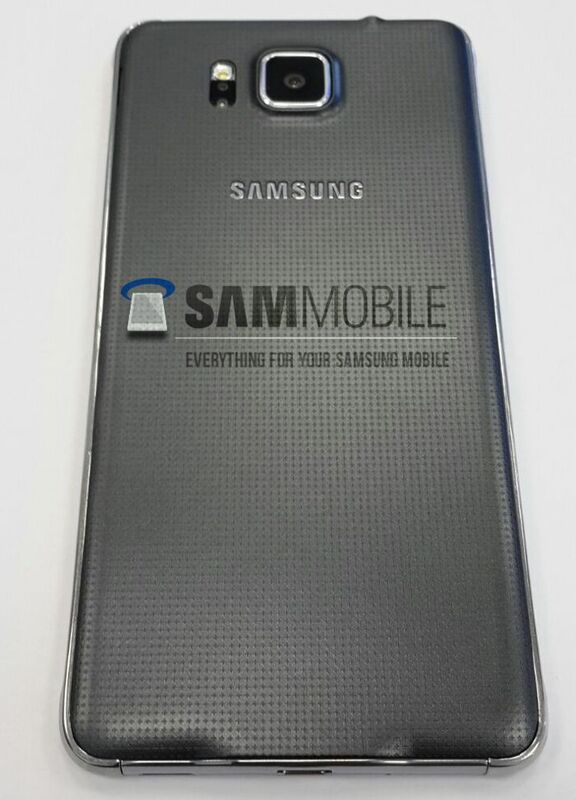 We have been hearing rumors about the Samsung Galaxy Alpha for some time, the handset was rumored to be a premium version of the Galaxy S5, and now we have some actual photos and specifications on this new device. 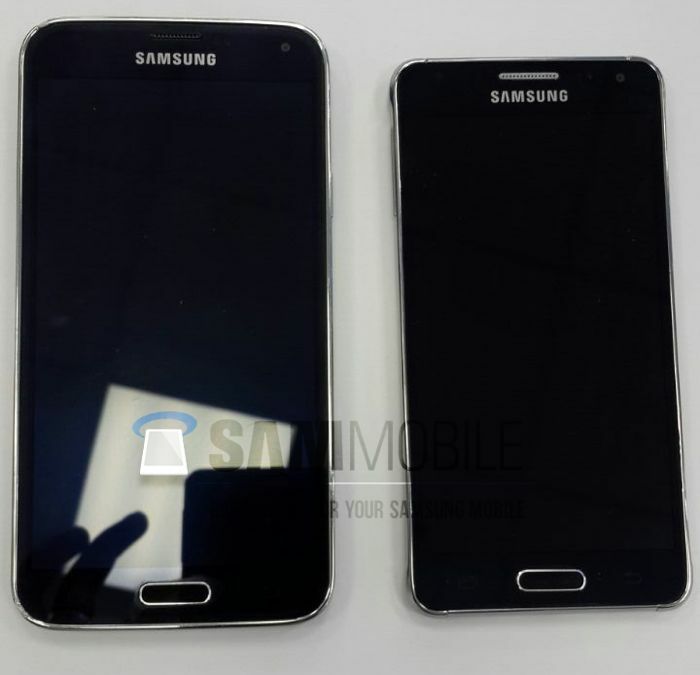 The Samsung Galaxy Alpha will actually come with a smaller display than the S5, the handset is said to come with a 4.7 inch display, as opposed to a 5.1 inch display on the S5. 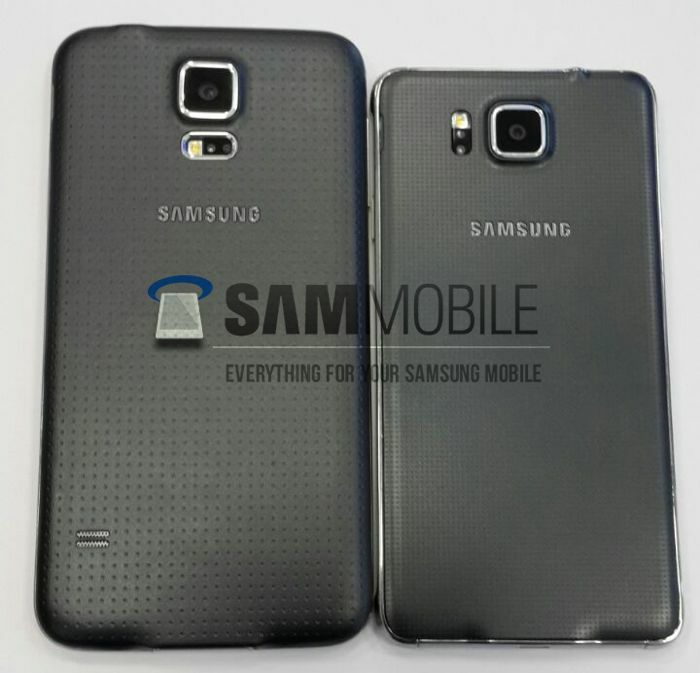 Samsung are ditching the plastic casing on the Samsung Galaxy Alpha, instead the handset will come with an aluminum frame on the sides of the handset, the back of the device will feature a faux leather casing like the Galaxy Note 3. The handset is said to come with LTE-Advanced, as yet it is not clear exactly what processor the handset comes with, although there are rumors of a quad core Qualcomm Snapdragon 800 processor. With regards to the display resolution, the handsets 4.7inch display is expected to feature a resolution of 1280 x 720 pixels, that is about all we know so far. One thing is clear from the photos, and the latest details, the Samsung Galaxy Alpha is not the same device as the Samsung Galaxy F, which previous rumors have suggested, so we are expecting the Samsung Galaxy F to launch later on with a metal casing.